If your company is like any other company, you probably have different software programs for different requirements. You may have a basic software program that helps you to do your accounting. Another program may help you to engage in some operational tasks. There are other specific programs that help companies to make invoices, track shipments and inventories, engage in customer relationship management and also manage employees. Of course, companies in different software programs just to be able to maintain books and accounts. At the end of the day, all these different software programs do not communicate with each other and you will have to draw your own conclusions with respect to varying data that is accumulated and processed by these very different software programs. The result is, data is not comprehensive and it is not being analyzed properly. You may miss out on important orders, shipments and fail to understand business outlook. This is because, multiple software programs create confusion and they are also not designed to fill in the gaps. The answer surely is investing in an ERP. 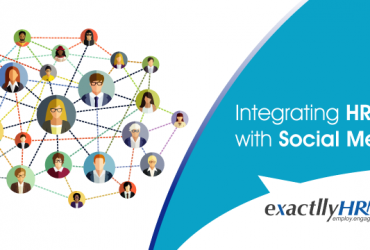 How does ERP bring together various software programs? An ERP helps to fill in various information gaps between multiple software programs. An ERP comes with several modules built on the same platform, all of which help to streamline your business processes. A typical ERP comes with modules related to customer service, sales, procurement, production, distribution, accounting, human resource, corporate performance and governance. ERP is also equipped with business intelligence, e-Commerce and enterprise asset management. Also, if your business has specific needs, an ERP can also be customized to include special and specific needs. All these different modules interact with each other and will enable to streamline your entire business process. Moreover, the analyses that business intelligence modules provide will help you to make predictions, decisions and choices in order to boost your productivity. This is by far the most useful feature of an ERP. An ERP helps to fill in information gaps by communicating with different modules and also by helping users to access information as and when they require. You could set up access rights to different users and they may access data from other modules as and when required. This will help you to create a unified business process automation. It is the ability of an ERP to communicate within its various models that sets it apart from other similar software programs. ERP is not a single software with a single function. It is a suite of software programs all built on the same platform. This enables an ERP to communicate with itself and its users effectively. There will be no need to try and put together information from different disparate software programs and end up with confusing and erroneous analyses. ERP streamlines every aspect of your business thanks to its different modules and in the end, it creates a database of very important and useful information that can be analyzed at various times to draw inferences. 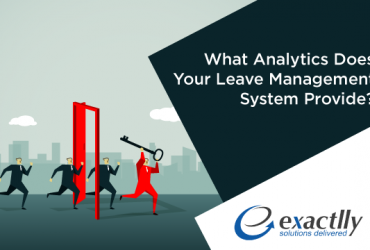 Next Article What Analytics Does Your Leave Management System Provide?